Steve Jobs, Zen Master of 1's and 0's - Internet Marketing that Works! 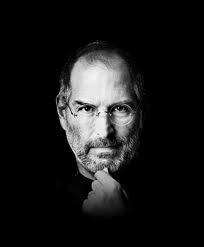 Like no one else, Steve Jobs’ creativity made my life easier. It’s a truly amazing world we live in, and nothing in it is more amazing than technology. I often ponder the concept behind how I earn my living and simply shake my head in near disbelief. Some explanation is required here. Most modern gadget users haven’t a clue how any of this stuff works, so I’ll outline a brief description. You start with a pile of beach sand, extract some silicon, mix it with some other elements in correct design and proportions, and build a simple electrical switch. You then configure millions of these tiny switches in such a way that you can communicate with them by simply knowing if they are off or on, 0 or 1, binary language. If that’s all there was to it, it would be very impressive indeed. But there’s more. Those of us who were around at the beginning of the digital age understand how magnificent the transition has been to modern day consumer devices. As someone who worked in a government research lab during this time period, I can tell you that the early computers were damn near impossible to live with. You needed to know all of the commands to type in to get any productivity from them. Even then it was an extremely frustrating experience. Enter Steve Jobs. He had a different vision. How bout we make computers that are easy to use he asked? Most people laughed at his expensive, unusual machines. Everyone I knew was convinced that they would soon be out of business because they weren’t as popular as PC’s, too expensive, yada yada yada. I was a dissenter. I paid $3,500 for a used Macintosh SE and an impact printer, loaded with used software and 8 Kb of RAM. It still sits on my gun safe to this day, a prized possession. My son once suggested we use it for target practice, I scolded him! Apple is now the biggest technology company on the planet, battling back and forth with Exxon Mobile for the title of the worlds most valuable corporation. What a difference a couple of decades makes huh? Steve Jobs, the guy who dropped out of college after one semester, largely because of the financial hardship to his adoptive parents, went to India to seek enlightenment, stated that taking LSD was one of the 2 or 3 most important things he ever did, created the most well known brand name ever conceived. His logo? An apple with a bite out of it, simple at it’s finest. I make my living switching 1’s to 0’s and back again. Doing this correctly makes other 1’s and 0’s talk to my banks computer, and I end up with dollars to put food on my table, and send my son to college. What an amazing concept. I’ve had my 24″ iMac for about 5 years now, it still works perfectly, never so much as a hiccup. When I bought it, my son’s PC laptop had just died so I bought him a Macbook as well. After a couple of months on the Mac he summed up the difference very accurately. He said “When you use a PC, you spend about half your time fixing the damn thing so you can use it. With a Mac, you just use it, it always works!” Now in his first year at the University, his Macbook is still working just fine. Thank you Mr. Jobs. As someone who’s studied Buddhism, I know that one of the beliefs is the idea that our lives, our spirits, posses an energy that never ends. When our physical bodies die, the energy returns to the system to be reassigned to another entity. You are certainly welcome to not believe that some other fortunate soul received a wonderful gift from Mr. Jobs this past week, I happen to think this is so. However, there is no denying that Steve Jobs spirit will live forever. He has secured that through a rabid following of the millions of Apple fans world wide. Steve Jobs, Zen Master of the 1’s and 0’s. You have made my life easier. You will not be forgotten.